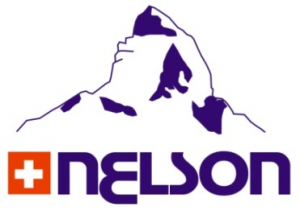 NELSON Worldwide AG Company has been operating since 2009. Our company engages in the organization of production and distribution of the most demanded and high-quality types of medical devices, pharmaceuticals. It is also successfully investing money in the development and production of high quality and innovative food (dietary) supplements. Our products satisfy the standards and requirements of the FDA, U.S.P., EMEA, B.P., GMP, because the company is headquartered in Switzerland and it makes the highest demands on partner factories and suppliers regardless of their location and spectrum of manufactured medical products. In such short period of activity of the Company it has been able to organize the production of its goods on the four continents. We have more than ten partners and reliable suppliers in the territory of five major world powers (U.S., China, Germany, Spain, Italy). Currently, the Company is also establishing the partnerships with more than 20 international companies in 8 countries (Russia, Indonesia, Malaysia, South Korea, Turkey, Ukraine, Uzbekistan, Georgia, Azerbaijan). For the successful development and competitiveness we are looking for the conscientious suppliers and partners actively, regardless of their remoteness and production capacities, which have the conditions for building mutually beneficial relationships and co-prosperity. We trust to our partners and suppliers, and we see our responsibility to them. Based on ethical values ​​and principles of synergy, we always try to organize the most mutually beneficial terms of cooperation and do everything for the successful implementation of our corporate Missions, and change of the society for the better.